Bill F. Cummings, founder of Cummings' Law, is a member of the Association of Trial Lawyers of America, the National Association of Criminal Defense Lawyers, Kansas Trial Lawyers Association, Kansas Bar Association, the Kansas Association of Criminal Defense Lawyers, the Wichita Bar Association, and the American Association of Premier DUI Attorneys. Mr. Cummings is a graduate of Washburn University School of Law. 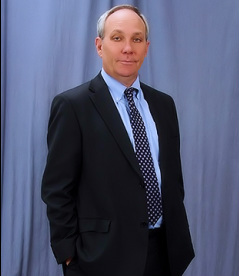 He is a trial lawyer focusing primarily on criminal DUI defense. He is admitted to practice in the State of Kansas; United States District Court, District of Kansas; and before the 10th Circuit United States Court of Appeals. Washburn University School of Law, Topeka, Kansas, 1990 - J.D.